The Air Jordan 7 Low NRG Taxi will join the “Bordeaux” and “Bright Concord” colorways for Jordan Brand’s latest Air Jordan 7 Low lineup. Dressed in a Taxi, Black, and White color scheme. 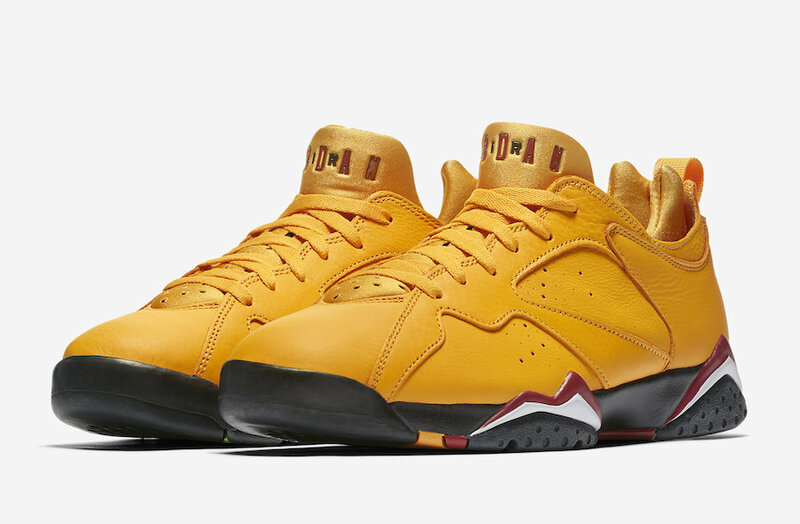 This low-top Air Jordan 7 features a full Taxi Yellow leather upper with a matching neoprene inner bootie. Other colors seen are Deep Red, Green, and White tones on the midsole and rubber outsole. Look for the Air Jordan 7 Low NRG “Taxi” to release on September 27th at select Jordan Brand retailers and Nike.com. The retail price tag is set at $140 USD.